Significant efforts of the current manufacturing companies are devoted to the implementation of the full synchronization between the real world at the shop-floor level and its digital counterpart (so-called Digital Twin). Indeed, a true reflection of the real factory can be exploited to monitor and simulate the factory performance, allowing to adjust and optimize processes, anticipate failures and also investigate problems. One of the major challenge to be tackled in order to realize the Digital Twin is the handling of the factory telemetry, which can track the evolution of the objects in the real world. This paper investigates the potential of an application for supporting and handling the factory telemetry, thus allowing to create a snapshot of the real system that can dynamically augment and enhance the data-driven simulation applications supporting the manufacturing execution phase. As a proof of concept of the architecture, a prototype has been developed in the field of robotics. In such context, the proposed architecture is on the basis of a Virtual Reality tool to simulate human presence for development of safety systems in robotic cells. The research was supported by I4MS project SmartIC Robotics - Regional Digital Innovation Hub in Robotics in Estonia. 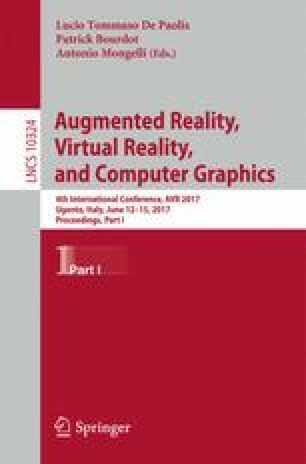 Authors are grateful to the Integrated Engineering students of Tallinn University of Technology – Vladislav Minakov, Mohammad Tavassolian, Aleksei Tanjuhhin and Tengiz Pataraia helping in experiments and simulations. The research was partially funded by the project “Smart Manufacturing 2020” within the “Cluster Tecnologico Nazionale Fabbrica Intelligente”.